St. Louis County Prosecutors have charged a parolee for a 2017 vandalism incident at a Jewish cemetery in University City. St. Louis County Prosecutor Bob McCulloch has charged 34-year-old Alzado Harris of Florissant with institutional vandalism, which is a class D felony. Court documents say Harris toppled more than 120 gravestones at the Chesed Shel Emeth Cemetery, which is located in the 7500 block of Olive Boulevard. The University City Police Department’s probable cause statement says damage is estimated at more than $30,000. The February 2017 vandalism attracted national media attention, and Vice President Mike Pence and Missouri Governor Eric Greitens visited the cemetery. Harris’ bond is set at $20,000. 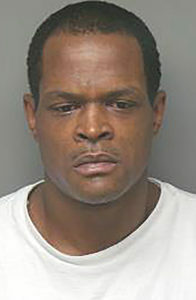 He’s currently on parole for burglary, and is being supervised by Missouri’s Probation and Parole Board in St. Louis. Prosecutor McCulloch is scheduled to brief reporters late Wednesday afternoon in Clayton.